Ask the Expert: Should I consider energy-efficient appliances if I am on a tight remodeling budget? How do GE appliances compare to Whirlpool appliance? Premier Appliance Store-San Diego Who We Are Here at Premier Appliance Store we want to help you make your kitchen and laundry room both functional and beautiful by providing the leading brands of appliances you need for fraction of the cost to update the space. That’s why we offer a selection of hundreds of appliances from trusted brands: LG, GE, Samsung, Electrolux,Whirlpool, Maytag, Bosch, Viking, Sub-Zero, Dacor, KitchenAi..
Premier Appliance Store Is The ONLY STORE In San Diego that offeres High-End brands for OUTLET Store Prices! BRANDS:Viking, Thermador, Miele, Sub-Zero, Monogram, Wolf, Bosch, U-Line, Bertazzoni. ..
Where to buy Thermador Kitchen Appliances. Premier Appliance Store Offeres great selection of all Thermador Kitchen Appliances.Purchasing direct allows Premier Appliance Store to pass savings to our customers.We offer same day delivery and professional installation on Thermador Appliances. ..
Viking has adopted an ever-increasing focus on product improvements, customer service and quality innovation. As a result of these efforts, the new Viking is better than ever. In 2013, Viking became part of The Middleby Corporation, the largest commercial kitchen equipment manufacturer in the world. Tapping the resources and technological expertise of Middleby with Viking's own heritage in the residential market, we have transformed our products and reached new heights in customer satisfa..
BSH Home Appliances expands recall of dishwashers due to fire hazard Elizabeth Steinberg Posted: Oct 20, 2017 11:22 AM EDT Updated: Oct 20, 2017 11:22 AM EDT NEW BERN, Craven County - BSH Home Appliances has expanded the recall of dishwashers after reports came in of their power cords overheating and creating a fire hazard. The brands involved in the recall .. Here at Premier Appliance Store we have Viking Kitchen Appliance Packages that are designed to save time and money. Ready to go in to your kitchen with our Premier PRICE With Installation And Delivery SAME DAY. Visit our showroom at 7160 Miramar Rd., Suite 126 San Diego, CA 92121.We have gas and dual fuel ranges all sizes, 30", 36", 48", 60" In Stock. 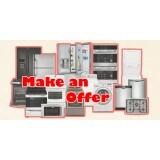 Refrigerators, Hoods, Dishwashers, Microwaves, Wall Ovens. .. Here at Premier Appliance Store we have Thermador Kitchen Appliance Packages that are designed to save time and money. Ready to go in to your kitchen with our Premier PRICE With Installation And Delivery SAME DAY. Visit our showroom at 7160 Miramar Rd., Suite 126 San Diego, CA 92121.We have gas and dual fuel ranges all sizes, 30", 36", 48", 60" In Stock. Refrigerators, Hoods, Dishwashers, Microwaves, Wall Ovens. ..
Premier Appliance Store-7160 Miramar Rd, Suite 126 San Diego, CA 92121 We carry ALL THERMADOR, VIKING, DACOR, BERTAZZONI, BOSCH Appliances At Discount Prices! THERMADOR COOKING APPLIANCES HAVE SET THE INDUSTRY STANDARD FOR PROFESSIONAL KITCHEN APPLIANCES. FEATURING AN EXCEPTIONAL VARIETY OF HIGH END RANGES, RANGETOPS, OVENS, GAS COOK-TOPS, MICROWAVES, WARMING DRAWERS AND MORE, THERMADOR IS THE NAME THAT'S TRUSTED BY CULINARY ENTHUSIASTS AND AVID ENTERTAINERS ALIKE. WITH..
Premier Appliance Store-San Diego Carries All Thermador Appliances. We have package deals which will save you additional 30-35%. Visit our site for more information:www.premierappliancestore.com 7160 Miramar Rd., Suite 126 San Diego, CA 92121 877-563-7773 858-304-6444 ..
How much is that old refrigerator in the garage costing me? Premier Appliance Store Has Energy Star Refrigerators In Stock! Always For Less!! May 14, 2012 | Filed under: Ways to Save It’s awesome for keeping soda and beer cold, but what’s the annual cost? The Energy Star website has a cool calculator that can help you do the math. Make sure you put in our local electric rate of $0.22 per kilowatt-hour. Here are the annual electricity cost calculations for .. Here at Premier Appliance Store you can get High-End-Luxury Appliance For Less.We are the only Outlet Store In San Diego that carries brands like: Viking, Thermador, Dacor, U-Line, Bosch,Bertazzoni, And Much Moore... Visit our site for more information and get latest models of all brands for less.New inventory weekly, offer delivery and professional installation SAME DAY! We also carry Samsung, LG, KitchenAid, Frigidaire, GE, Electrolux, Whirlpool, Maytag. Washer and Dryers. Slide-In Ranges, .. Kitchen Appliance Store In San Diego-Premier Appliance Laundry Appliance Store-San Diego, Premier Appliance Retail Appliance Store In San Diego ..
Premier Appliance Store-Luxury Brands For Less Premier Appliance Store-Kitchen Appliances Premier Appliance Store-Laundry Appliance All Brands at discounted price. .. 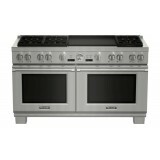 Kitchen Appliances In San Diego-Premier Appliance Store offeres all kitchen appliances at fruction of the cost. Get your kitchen done with Premier Appliance Store at half price. New inventory weekly, many household appliances to choose from at discount prices. Store offers all leading brands.Located in Miramar West Village 7160 Miramar Rd., Suite 126 San Diego, CA 92121. Refrigerators, Dishwashers, Microwaves, Ranges, Hoods, Washer and Dryers.Same day delivery and professional installation of..
Best of Yelp.com-Premier Appliance Sales & Repair 7160 Miramar Rd., Suite 126 San Diego, CA 92121 Repair on all brands of appliances in San Diego county. Major Appliances, Household Appliances. Brands we carrie: LG, GE, Whirlpool, FrigidAire, Electrolux, KitchenAid, Samsung. High-End (Luxury Brands)-Thermador, Viking, Bertazzoni, Monogram, Miele, Dacor, Sub-Zero, Wolf, DCS, Fisher & Paykel. TOP 10 Appliance Stores in San Diego County CA » The Prime ... www.primebuyersre..